What is the price of a good view from a house? We certainly pay a lot for it in the US. Yet in foreign countries it is ignored compared to the size of the land and the productivity of that land. I look at this view, this picture and I am amazed how beautiful it is. Still having been there and taken the picture I know that this plot of land is just like all the surrounding ones. You could buy the land for a few thousand dollars, and put up any kind of house you wanted. 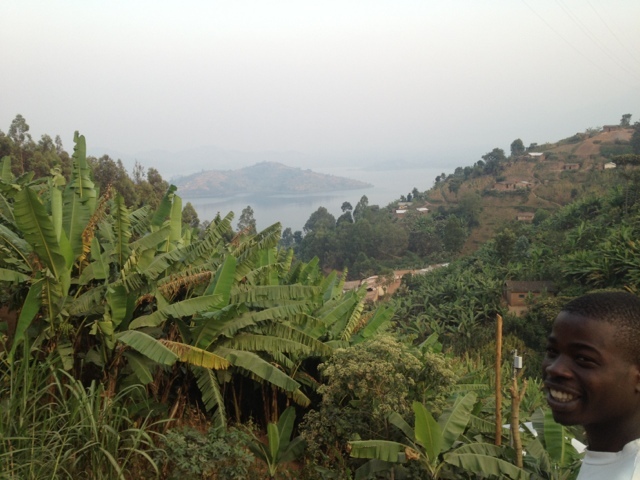 The views from many places in Rwanda were just amazing! On a side note, that is Innocent in the corner of the picture, you will see him more in pictures and videos later because he was my guide in the village basically.